Have you always wanted straighter teeth, but didn’t like the thought of spending a year or more in braces? Now you don’t have to. With Six Month Smiles, we can cut that treatment time in half–most people will get their desired results in about six months. And as added bonuses, you’ll likely enjoy less discomfort and save money, too! Of course, the biggest appeal of Six Month Smiles is in the name: good candidates achieve their cosmetic goals in an average of just six months. This saves significant time spent in braces and can be better for your teeth. The challenges of cleaning around braces mean that the longer you’re in braces, the greater your risk of developing cavities and gum disease. But Six Month Smiles doesn’t just save time in overall treatment–it saves time in every dental visit. That’s because Six Month Smiles uses advances in efficient processes to streamline the process of tightening braces, leading to faster appointments. And because of the way Six Month Smiles approaches teeth straightening (see below), you’ll likely experience less discomfort from teeth straightening. There’s a reason why braces have been used for 200 years to straighten teeth: they work well. And Six Month Smiles takes advantage of the science and experience with braces to make sure the results turn out well reliably. But wearing Six Month Smiles doesn’t mean you’re going to end up with traditional brace face. The appearance of Six Month Smiles is subtle: using clear brackets and tooth-colored wires, Six Month Smiles has a very subtle appearance. And what many people consider the crowning achievement: by cutting down on treatment time, Six Month Smiles often costs less than other orthodontic options! 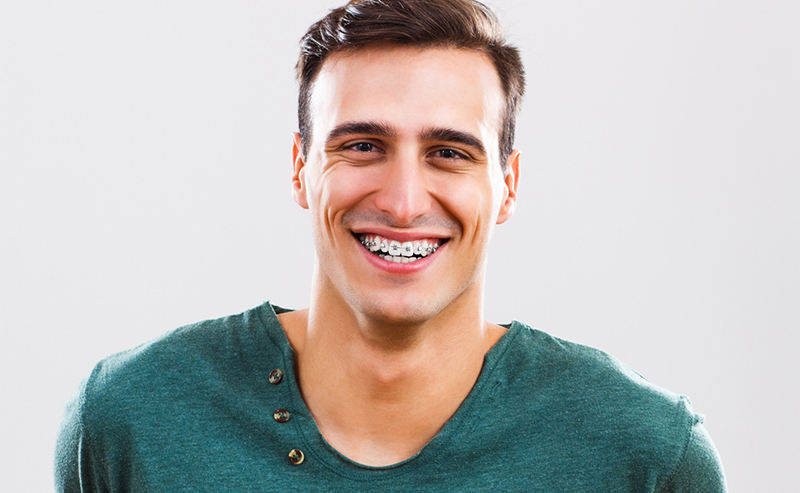 How does Six Month Smiles use traditional braces to achieve results in half the time? It’s all a question of working smarter, not harder. Some of your teeth are easier to move than others. The easiest teeth to move are the small teeth in the front of your mouth. And these are the teeth that most people want moved with orthodontic treatment. By focusing on these teeth, Six Month Smiles can get treatment accomplished faster. And it’s also how Six Month Smiles reduces discomfort compared to traditional braces. Moving your smaller front teeth is less uncomfortable than moving the larger teeth in the back of your mouth. Of course, because of the restricted approach to tooth movement, Six Month Smiles isn’t appropriate in every case. If you have bite problems that require the movement of your back teeth, you’re not a good candidate for Six Month Smiles. And, although Six Month Smiles overcomes many of the limitations of braces, it’s still brackets and wires. Cleaning around brackets and wires is a challenge, and you have to be diligent about it to protect your teeth. Otherwise, you can experience significant gum disease and tooth decay–even in six months. You also have to be prepared for the feeling of having brackets and wires on your teeth.